I'm third from the right, in my element, with the cap under my helmet, and Dad is on the far left. Not long after my mom's death, my dad and I went on a 4x4 trip through Namibia, Botswana, Zimbabwe and Zambia. It. Was. Amazing! I have so many incredible memories from that trip, but my favourite favourite must be rafting the Zambezi River with my dad - I loved it! I remember flying down those mighty rapids (our raft even overturned once, much to my delight! ), laughing from my belly and just inhaling the experience (and about 4 litres of river water...). A lifetime high, for sure! 2. A solo trip to the U.S. 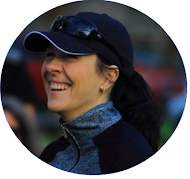 In January 2010 I packed my bags for a dream running adventure in the US of A. I was terrified (JFK is a big, scary place for a small-town girl from Africa...! ), but loved every, single minute: The turkey wraps; the abundance of green juices and smoothies; the huge portions; and just the efficiency of everything and anything. 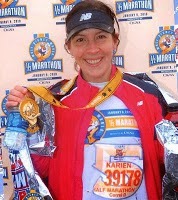 I clocked a 02:11 at the Walt Disney World Half Marathon that year - a race and a trip that I'll never forget! 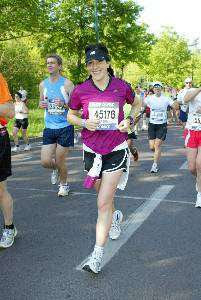 In April 2011 I ran my very first (and, uhm, only) marathon in the City of Love. This was another solo trip and I must confess that the Parisian way of doing things came as quite a culture shock, ha! But what's not to love about running the streets of Paris with almost 35 000 fellow crazies? A dream vacation for sure. In February 2013 Will, me and an almost one year-old Missy K crossed the border to the beautiful Kingdom of Lesotho for another running adventure of note. I completed the Highlands Trout Mountain Challenge, a tough but breathtakingly beautiful 21.1 km race in the Maluti Mountains, and for two glorious days the three of us just drank in the beauty of Lesotho. We really need to visit again. My mom and dad were both Kruger people (and Dad still very much is!) - people who love the simplicity and rest that you can only find in one place on earth: The Kruger National Park. I was blessed to visit the park at least once a year growing up, and cherish the memories of every one of those trips. There are so many things that I love about Kruger: That smell when you enter your chalet; the sun's warmth on your skin; the sound of sonbesies singing; early-morning runs along Shingwedzi's camp fence; an abundance of afternoon naps; and campfires and braais almost every evening. I should have appreciated those trips a lot more growing up! Thanks, as always, to the ladies from Eat Pray Run DC, You Signed up for What? and Mar on the Run for the opportunity to share these memories as part of their Friday Five link-up. We're in the run for the 2015 South African Blog Awards! We'd really appreciate your vote - you can vote by clicking on the red badge in the right sidebar. THANK YOU! What wonderful memories! Rafting the Zambezi sounds like an awesome time! I would love to go to Paris as well as run a Disney race! What did you mean about the Parisian way of doing things? So thankful for such wonderful memories! All of your trips sounds totally amazing especially that rafting trip! Cool that you ran the Paris Marathon! Kruger National Park also sounds like a great place to visit. I would love to take my husband on an African Safari trip - he would so love that! If ever you have the chance to visit Africa, you MUST visit Kruger. It's not fancy at all (but accommodation is of a high standard), but one of my favourite places on earth! You have had some awesome adventures!! Aren't they awesome, Christy?! Thankful for each one! Those are great memories - and sound like great vacations! They were incredible, Coco - so thankful for each one! 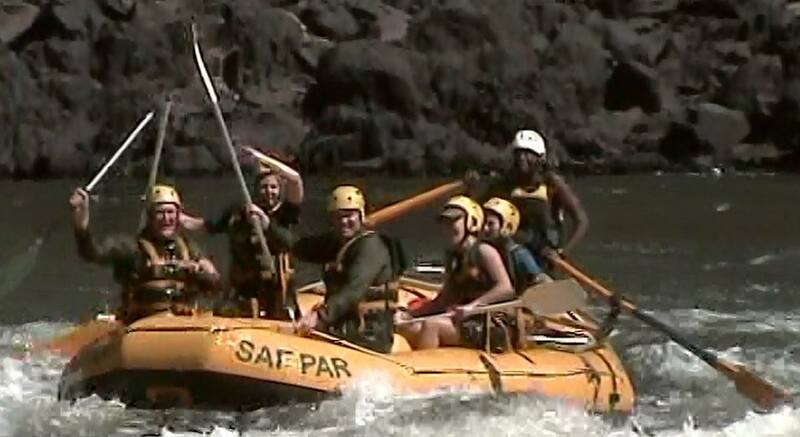 I give you total credit for your willingness to go rafting - I'd be way to scared the entire time to enjoy it! Wow - such great trips! Especially that 4x4 trip with your dad - how awesome! It was such an awesome trip to do with my dad, Courtney - memories that I'll cherish forever! I'm glad you enjoyed your trip to the USA and to Disney. Disney World is one of my favorite places to visit. 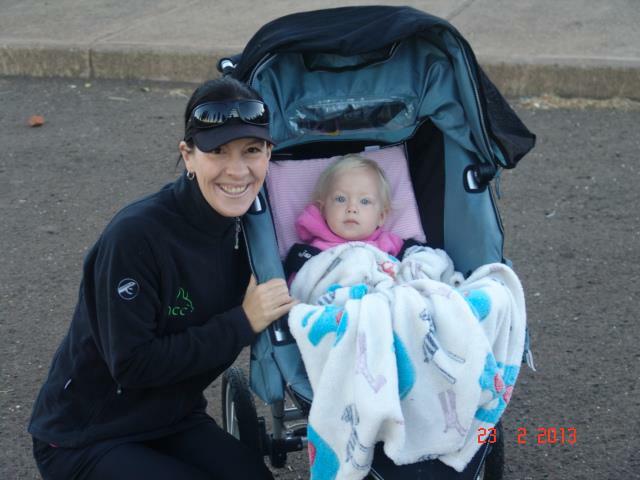 You had an awesome time on your half! Thanks so much! Now of course I want to go back and do Dopey... One day I will! Those all sound like really wonderful memories, K! Aren't memories a wonderful thing? Love them all!